Owners and employees of a lot of small to mid-size companies are out there every day building strong brands by working their tails off and insisting on customer service that leaves people feeling like royalty. As self-defined “relationship-driven companies,” they take pride in it. And they should, because it takes a lot of pride to make sure every interaction with customers, prospects and vendors is positive. Brand is EVERYTHING, from your website to your return policies to the cleanliness of your parking lot. It is every single contact a person has with your company anywhere. As it is with so many things in life, personal or business, it’s not the huge proclamations, offers or gestures that make the difference. It’s the little things. “Devil’s in the details,” right? Which is why I’m surprised when relationship-driven organizations trip over one of the most basic brand details, leaving the queens and kings, dukes and duchesses of their business feeling anything but royal. Before the brand relationship comes the crucial first impression. Do Not Pass Go. Do Not Collect $200. Or Any Other Amount. If your business claims to be a high-touch, caring one, a human being needs to answer the phone. Call some companies and you’ll hear, “click.” followed by muzak. No recorded greeting, nothing. Others provide the obligatory, “Your-call-is-important-to-us…,” then go to muzak. Muzak. Muzak. Muzak. Wait, wait, wait. Dum-de-dum-de-dum-de-… Dumb. We’re not talking huge corporations with thousands of employees and billions in sales here. Those brands can afford to sic their robots and instrumental 1980s one-hit wonders on callers. You can’t. Yours is a relationship-driven business. Remember? When more than one call is coming in at a time, it’s just as effective – and much more relationship-y – to have a designated person pick up, greet the caller and ask them to hold for a moment. At least the caller will be assured they’ll be speaking with a human soon. Answer the general business phone. Always. Or your next relationship might not get past the “Go” muzak, either. It’s called screening calls. It’s what underlings do for muckety-mucks who are so important (self-important?) they’ll only take calls from certain other bigwigs. Par can’t help but wonder if, had he been Mr. Bigwig, his call would have been put through. That’s the implication he more than likely takes away, even if Muckety-Muck was, honest-to-goodness, indisposed and couldn’t take a call. Now. Replay the conversation again, but leave out the five killer words. Without them, Par has no reason to believe his call didn’t go through because of who he was or who he wasn’t. He’s left believing Muckety-Muck was busy and will call back as soon as she can. People are busy. I get it. And there’s absolutely nothing wrong with a receptionist or admin or other designated person answering the telephone. But those who want to wear the relationship-driven crown can’t give even the sniff of an impression that they’re picking and choosing who they will or won’t talk to. 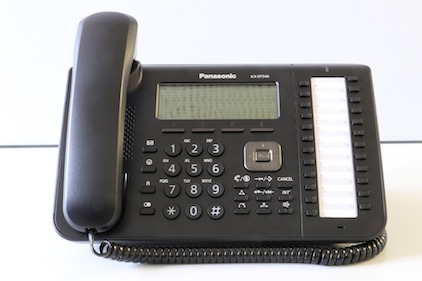 Answer the phone, direct the call to the right person or inform the caller that the person they’re calling for isn’t available before getting the caller’s name. Last but not least is the call to a direct or mobile line. This is the, “Oh, hi. I can’t talk right now. Can I call you back?” response. If they can’t talk right now, why’d they answer? You’re waiting to hear from someone infinitely more important than he is. Whatever you’re doing is infinitely more important than he is. You don’t care to talk to him now, and maybe not ever. You’re a Pavlovian nincompoop who immediately answers every ring. And that, my friend, is poor customer service. We all have caller I.D. on our mobile phones, and we all know when we’re too busy to talk on the phone. If you have no intention of speaking to a caller when you answer, don’t answer. Period. Let it go to voicemail, instead. That assertion becomes a little disingenuous when callers are greeted with numbing instrumentals, are forced to run the receptionist gauntlet or need to cope with the undefined call-back sluff-off. Designate a human being to answer the general business phone. Put people through or tell them the staff person they’re calling for isn’t available right away, without asking callers to identify themselves first. Only answer the direct business line or mobile if you have time to talk at that moment. Treat people like royalty when they call and they’ll have a positive impression of your brand when they hang up. Who knows? They might even call back sometime.